Children’s Mental Health Services are aimed at supporting and improving children’s emotional well-being and development. The services also assist children in their relationships with family and friends, and aid in their ability to get along with others as well as function effectively at home, in school, and in the community. 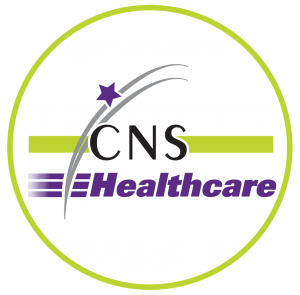 CNS Healthcare is pleased to offer psychotherapy and psychiatry for minors, under the age of 18. Our trained and experienced staff is equipped to provide a variety of psychotherapy interventions and modalities, for children and adolescents, including Play Therapy, Cognitive Behavioral Therapy, Solution Focused Therapy, and Substance Abuse Therapy. Our therapists have experience helping clients with a variety of problem areas, including, but not limited to anxiety, depression, trauma, coping with divorce, adjustment problems, conduct disorders and Attention Deficit/Hyperactivity Disorders. It is important to note that a minor, 14 years of age or older, who has received services from Community Healthcare based on section 330.1707 of the Mental Health Code must authorize release of information regarding provision of outpatient services to their parent, guardian and/or a person acting in loco parentis. Loco parentis means the legal responsible person or organization that takes on some of the functions and responsibilities of a parent. An exception to this authorization process can occur, when a mental health professional determines there is a compelling need for disclosure based on a substantial probability of harm to the minor or another individual, and if the minor is notified of the mental health professional’s intent to inform the minor’s parent, guardian or person in loco parentis. Our licensed, mental health professionals and practitioners work closely with each child and family to understand parents’ questions, concerns and worries as well as each child’s strengths, challenges and history. Parents receive a thorough written summary with recommendations for what services or activities would be most helpful for the child’s individual needs. Assessments can include a comprehensive psychiatric evaluation, psychological testing and substance abuse screening. Additionally, there are other assessments available, which determine level of functioning and mental health treatment needs. Clinicians completing assessments are licensed child psychologists, social workers, professional counselors, practitioners, child psychiatrists or marriage and family therapists. Our professionals’ expertise address a wide range of children’s mental health concerns, including childhood depression, anxiety, ADHD and trauma. Our compassionate, experienced therapists support families through challenging times by offering individual and family therapy to help with numerous concerns, such as school adjustment problems, depression, anxiety, difficulty dealing with loss or family changes, abuse, traumatic events, attention problems, parent-child conflicts and acting-out behaviors. Assessment and treatment are available for children, K-12th grade, who are experiencing emotional, behavioral, developmental or social problems. Counseling focuses on building a child’s strengths and increasing their skills, so they will be successful at home, in school, and in the community. The Crisis Screening Program provides timely assessments for at-risk children who are experiencing acute, chronic or severe disturbances. Once assessed for need, services are arranged through this point of entry, and can include short-term crisis intervention/stabilization, case management, residential care, short- or long-term hospitalization or any other mental health programs available in the community.